Concern over whether a white Christmas was in store for the Twin Cities was becoming a topic of greater and greater interest among the local folk. We won't say obsessed, but you get the idea. We sat down with Tom Novak (@NovakWeather) and Patrick Hammer to discuss possibilities in this video. 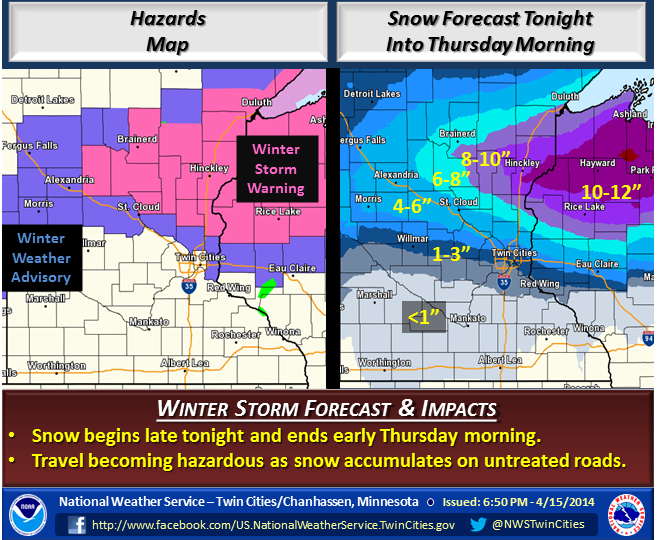 For those new to the Minnesota Forecaster (and if so, where've been? ), you can follow us on Twitter and Facebook. First Arctic Siege Nears End, Winter Storm on the Horizon? With the season's first, most premature cold spell nearing expiration, Upper Midwest weather eyes turned to the possibility of a storm for early next week. Use this space to track your thoughts on what might be spinning up. SUNDAY NIGHT AND MONDAY REALLY LOOKS TO BE THE TIME PERIOD OF UTMOST CONCERN...GIVEN BOTH GFS AND ECMWF MODELS CRANK NORTHWEST WINDS UP TO 25-35 MPH /SUSTAINED/ IN CONJUNCTION WITH DEFORMATION SNOW TAKING PLACE AS THE AFOREMENTIONED LOW DEEPENS FURTHER AND PIVOTS NORTH-NORTHWEST TO LAKE SUPERIOR. WILL DEFINITELY NEED TO MONITOR FOR THE BLOWING SNOW POTENTIAL...WITH NOTABLE SNOW ACCUMS ALSO A POSSIBILITY. HOWEVER...MODELS HAVE LACKED RUN TO RUN CONSISTENCY WITH THEIR HANDLING OF THE KEY PLAYER...THE STRENGTH OF THE NORTHERN STREAM SHORTWAVE...SO HAVE KEPT SNOW CHANCES IN THE LOW CHANCE CATEGORY AT THIS POINT. 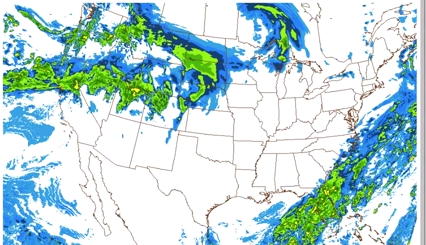 As of Sunday morning, there was virtual certainty among all forecasters that an appreciable snowfall was on the way for Monday. Exactly how much, however, remained in question. The National Weather Service seemed among the most bullish on a heavy duty snowstorm, predicting "around 10 inches" in their morning briefing. 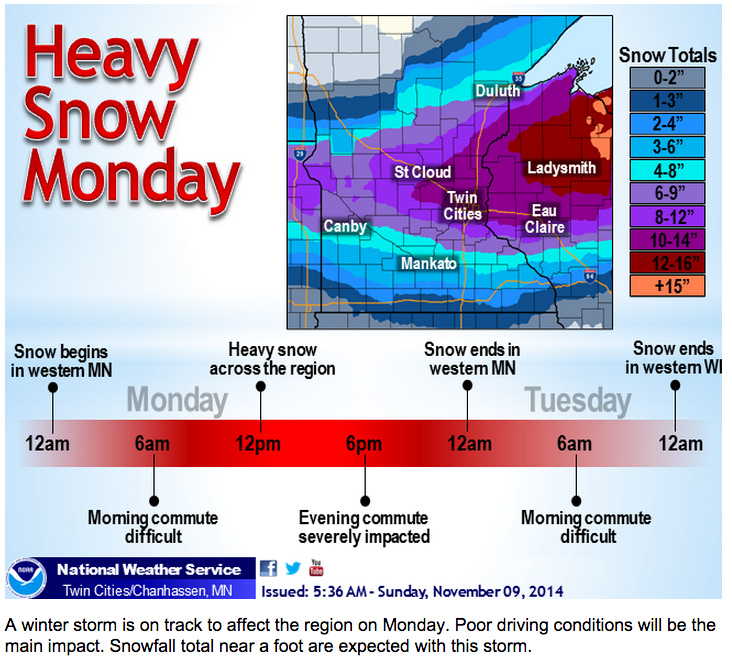 KSTP was the most conservative, predicting "just" 2-4 inches of snow for MSP (airport). 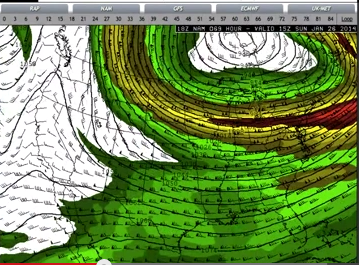 Here's a new video we produced with Patrick Hammer and Tom Novak (@NovakWeather) detailing what they see coming. 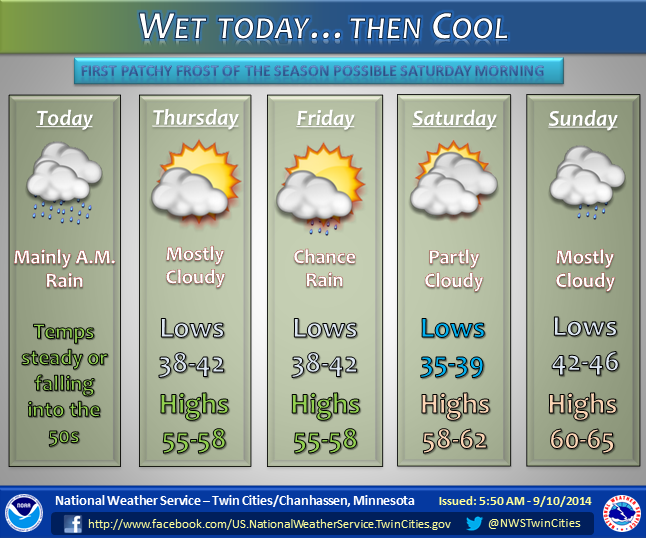 Follow us on @MNForecaster on Twitter for updates. One last note. 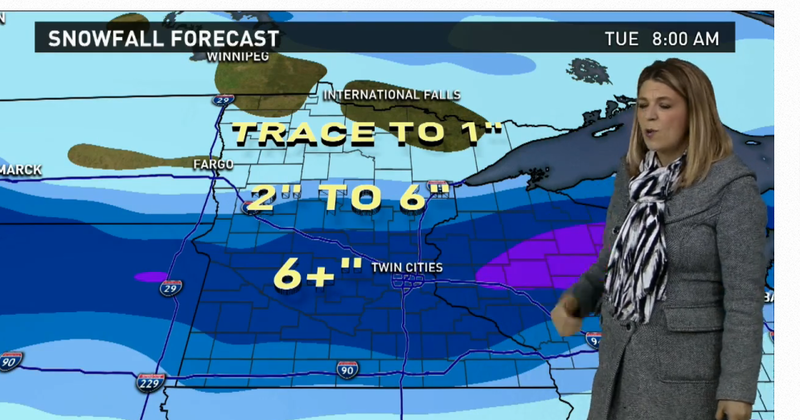 WCCO continues to show model depictions that they're quick to qualify. In the 10 a.m. newscast, the forecaster showed a map depicting 18-24" for the Twin Cities but hastened to add, "We don't think that much snow will fall, though." In a visual medium where people may well be watching with the sound turned down, we think it's irresponsible (and lazy) for WCCO to continue to take this approach. If winter's not your thing (in which case what the heck are you living in Minnesota for? ), you're probably quaking in your boots. 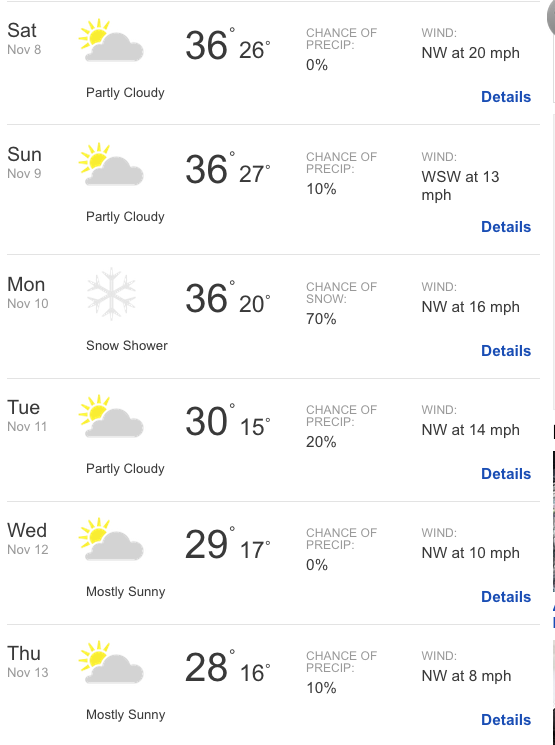 If you're a winter lover, your day is drawing near, possibly much sooner than you dreamed possible. Several weather outlets are introducing the possibility of a little snow Friday night into Saturday morning. An arresting thought to be sure. Seems like it's almost time to cue up one of our favorite songs. Here are a few graphics that capture the potentially wintry weather headed our way just days into the official beginning of meteorologic fall. 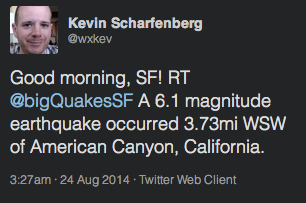 The "South Napa" Earthquake, as it's now being called, provided quite the educational opportunity for Bay Area natives. 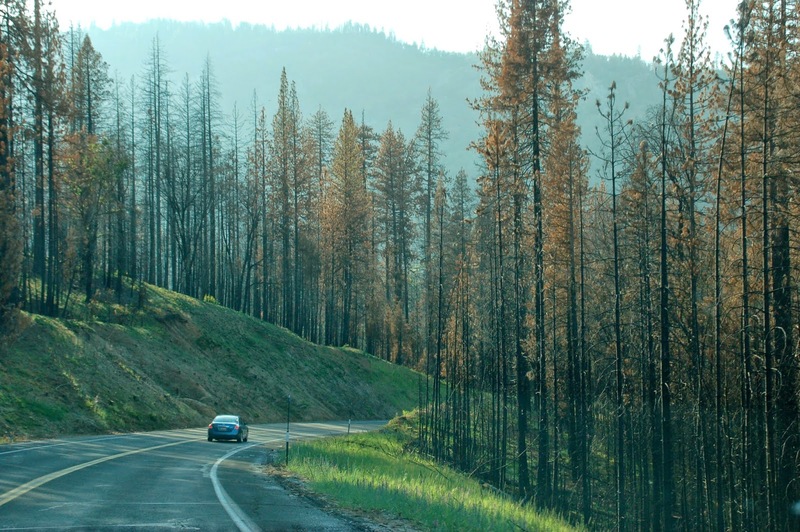 Just as Minnesotans are conversive in dewpoints and can recall the years and locations of tornado outbreaks, Californians can name notable earthquakes and speak with considerable facility about the types of plate shifting causing the various types of earthquakes. It may not be the kind of weather that fascinates four-season-loving Minnesotans, but it's still pretty interesting stuff. 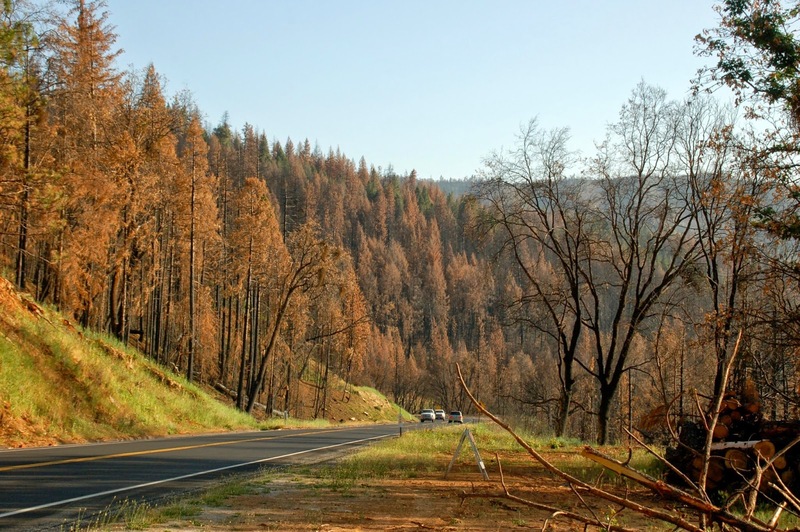 Here are some random pictures from local weather segments and other media communications in the days immediately following the South Napa Earthquake. 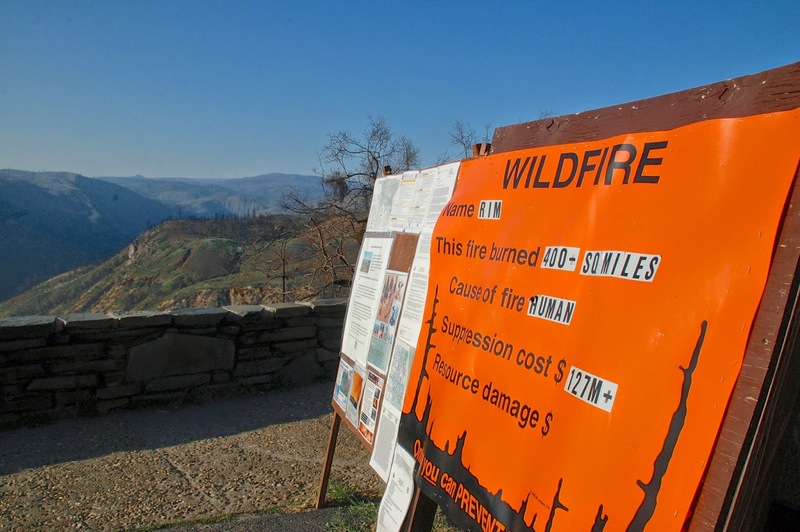 The UC Berkeley early warning project provided a 10-second quake warning and was close in magnitude prediction. The inevitable comparisons began immediately. An explanation of the different types of quakes. 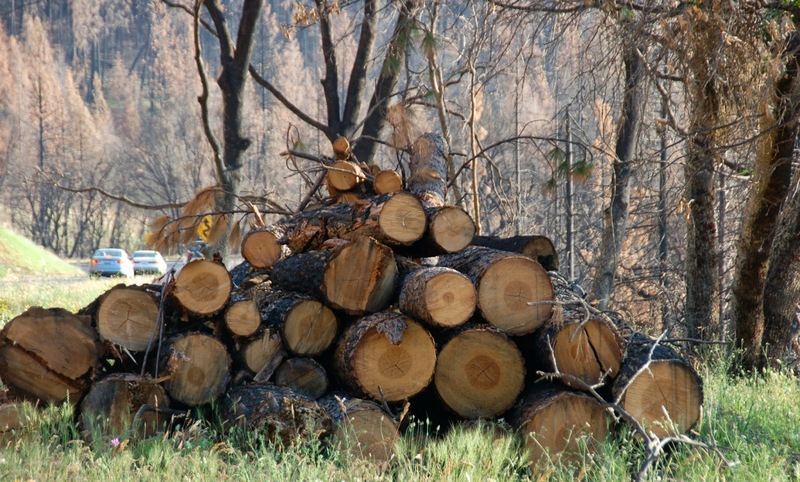 California version of a winter survival kit. Aftershocks -- the rest of the story. 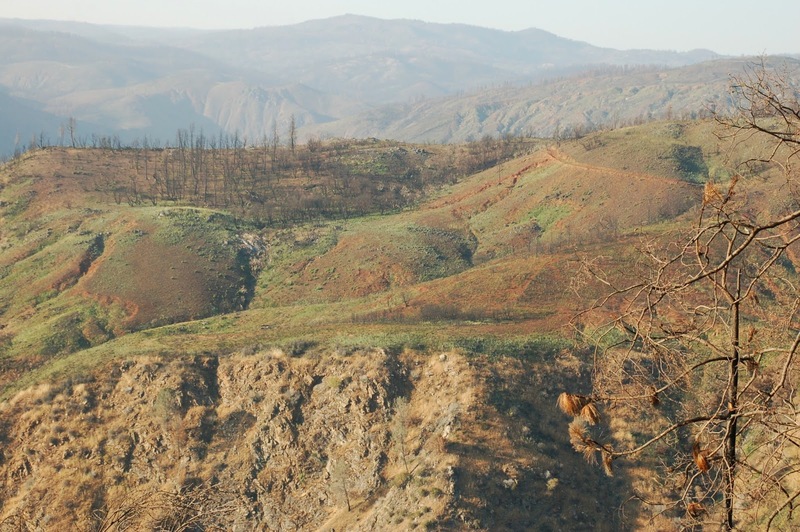 An aftershock forecast of sorts. 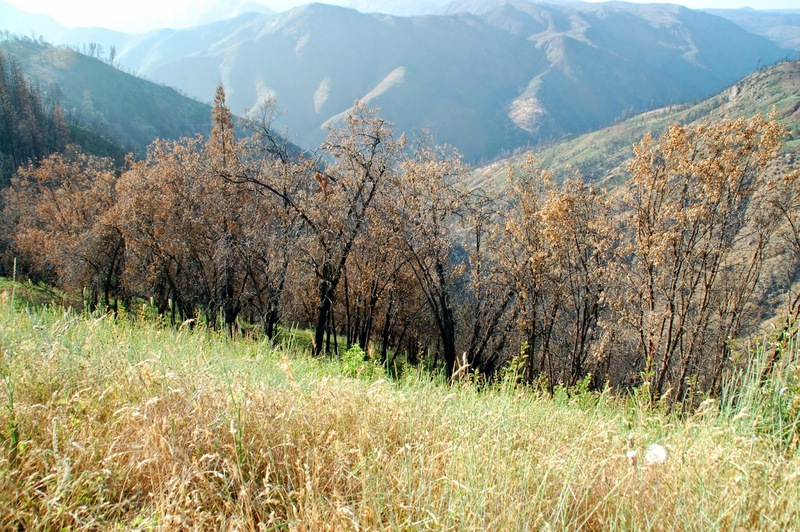 US Geological Survey does a great job capturing data. This is the report we submitted. As of Monday evening, the stage seemed set for another bout of winter weather according to virtually all local weather outlets. There were moderate variations in the predictions but all weather gurus agreed amounts would be higher in the northwest Twin Cities and lower in the southeast Twin Cities. Here's a recap as of late Monday evening. A reminder that you can track with us on Facebook and Twitter. Sub-Zero Cold Wanes, What's Next on the Weather Horizon? After a barrage of brutal cold fronts bludgeoned the fine state of Minnesota, it now appears the sub-zero weather is done and a warm up of some magnitude is on the way. Use this space to share thoughts on upcoming warmth and any possible snow (or rain) storms that may be on the horizon. Graphic depicting volume of sub-zero cold. 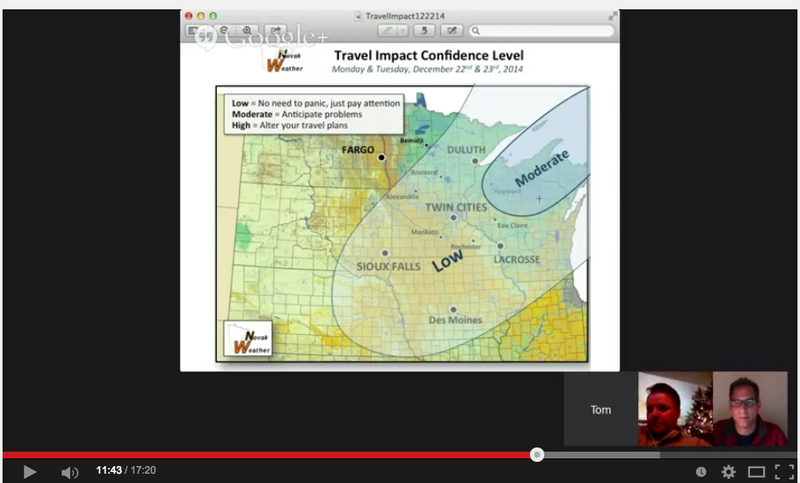 The brutal cold is here for the long haul according to Tom Novak of NovakWeather. We spoke with Tom this evening to learn more about the cold that's in store as well some snow that appears headed our way for Friday. And how cold has it been? I thought the graphic to the right was particularly instructive, showing a total of almost 20 full days of sub-zero weather. 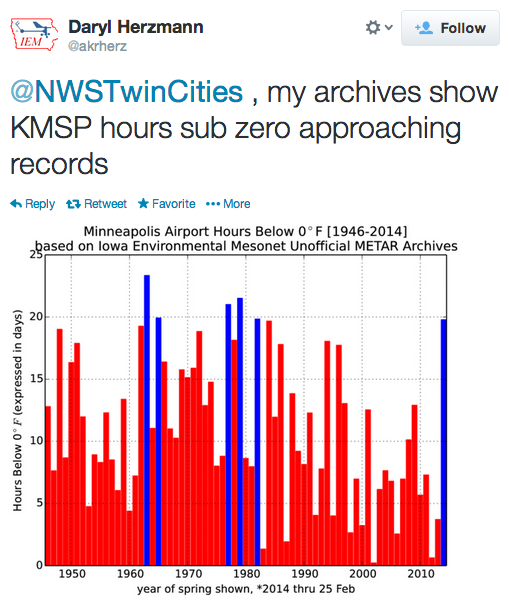 It would appear we're headed to challenge the largest number of sub-zero hours at MSP airport since 1946. 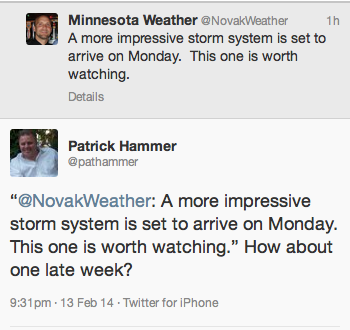 Twitter links: NovakWeather, Minnesota Forecaster. 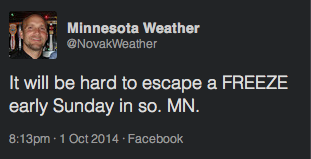 Facebook links: NovakWeather, Minnesota Forecaster. Late changes to what was initially expected to be a light snowfall Wednesday night/Thursday morning have created the prospects for a pretty solid snowfall packed into a few hours that just happen to coincide with the morning rush hour. Astute observers will note that this forecast is typical of so many: among the local television outlets, KARE is on the conservative low end and KSTP is on the aggressive high end. 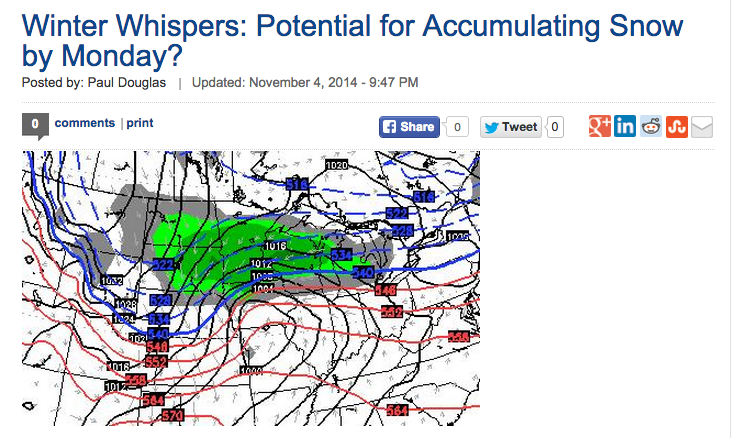 According to Tom Novak from Novak Weather, a menacing winter dish is about to be cooked up by mother nature. Tom details a "dumbbell" weather pattern which he thinks will cause blizzard conditions in a wide swath of Minnesota real estate beginning Sunday. Here's our latest video. 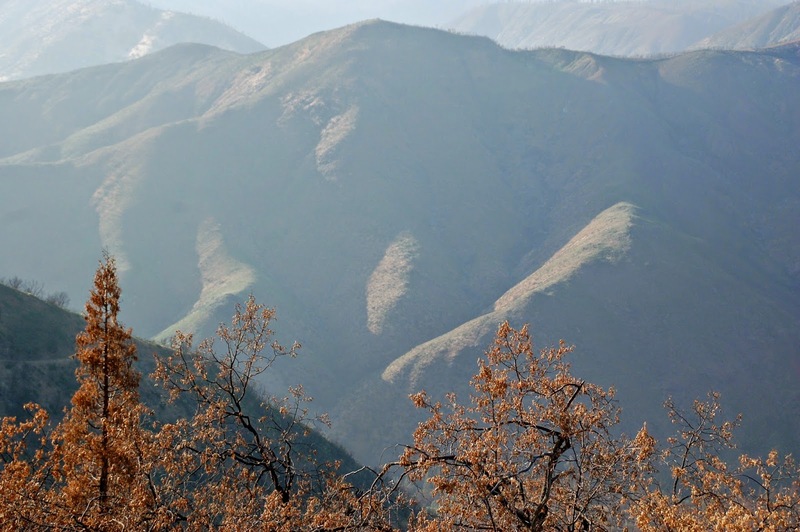 The dumbbell formation in the upper right (in white). 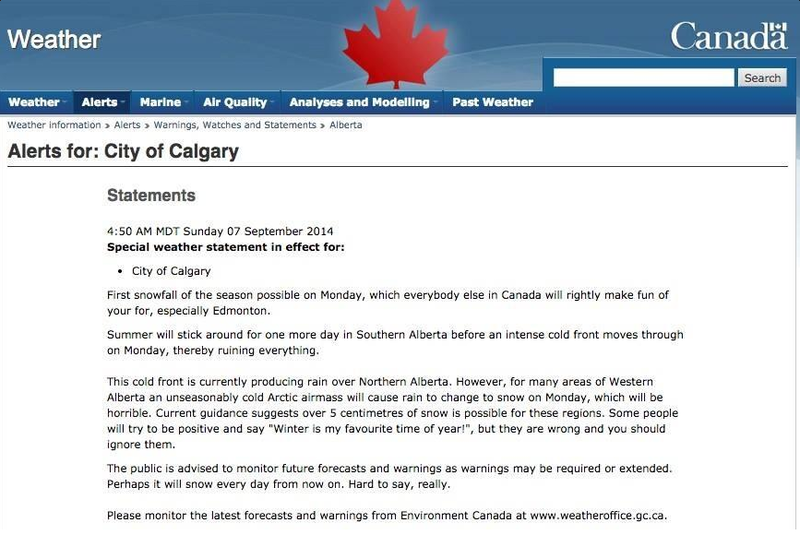 It’s been a while since we’ve graded forecasters. In truth that’s because there hasn’t been much interesting weather (i.e., snowstorms) and because there’s been little forecaster variance. 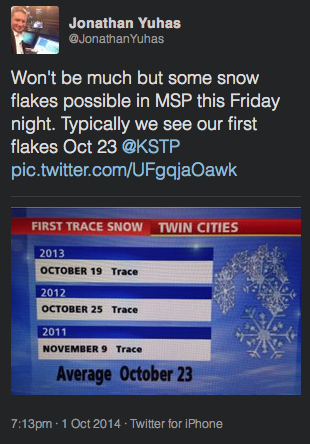 This time, however, we feel compelled to highlight the particularly poor forecast by WCCO’s Chris Shaffer. 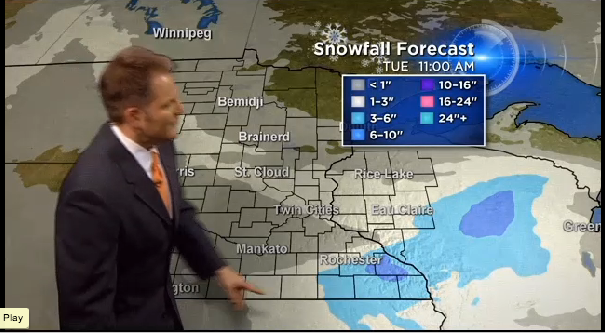 Here’s an excerpt from Shaffer’s forecast on the 6 p.m. news last night on WCCO. He said that “most of us will see less than an inch.” He went against all others and consistent model data. It seems he looked at one rogue model solution and ran with it. With the 4.4” of snow that fell, we think that most viewers would call this a poor forecast. 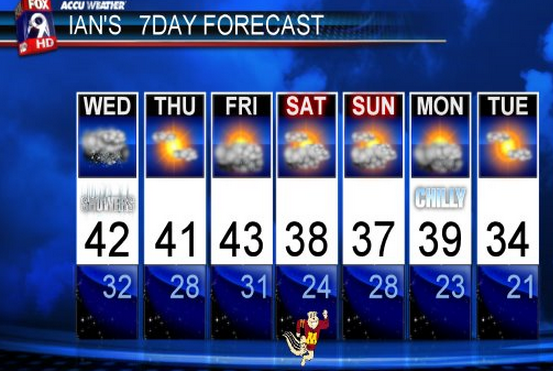 Chris Shaffer forecast from 6 p.m. WCCO newscast. While a bad forecast is one thing, coming out 24 hours later and implying it was just what you expected is harder to swallow. 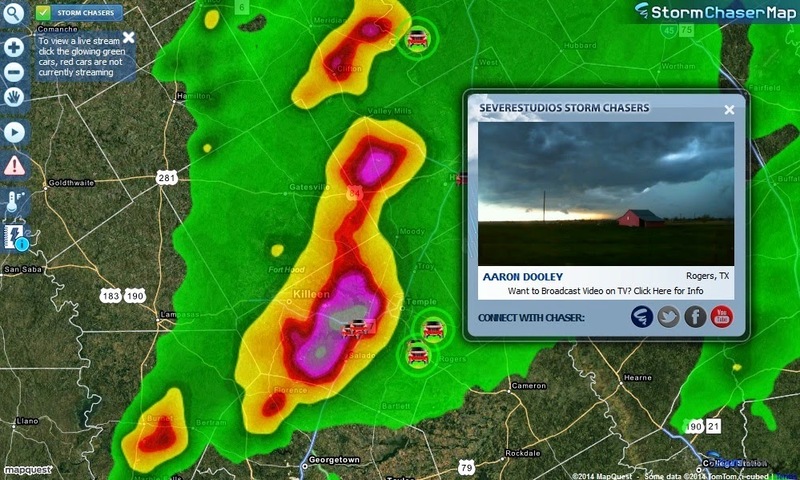 Here’s a video capture from a segment of his 6 p.m. weathercast from Tuesday night. There’s the clear implication that the storm was what he expected (“just a little snow) yet he actually brings forth reported totals that are in excess of the totals he’s trying to validate. And how can he continue to call this “not much snow” when it caused snow emergencies in both major metropolitan cities? The fact is that we received one of the biggest snowfalls of the season with 4.4” and much of the metro received 3-5”. That’s a solid snowstorm in most peoples’ books. WCCO: F. A poor forecast and an even poorer follow-up self assessment. KSTP: B. More aggressive than most with a 2-4” forecast, but not aggressive enough. Also emphasized 2-3" with "spots seeing 4". KMSP: C. Too conservative at 1-3 inches. NWS: B+. They were consistent in forecasting 2-4” and, appropriately, issued an advisory. 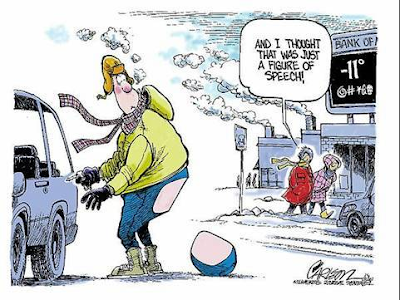 Strib: C. Todd Nelson’s 1-3” forecast was too conservative. Novak Weather: A. Refer to this video (beginning at 11:45). 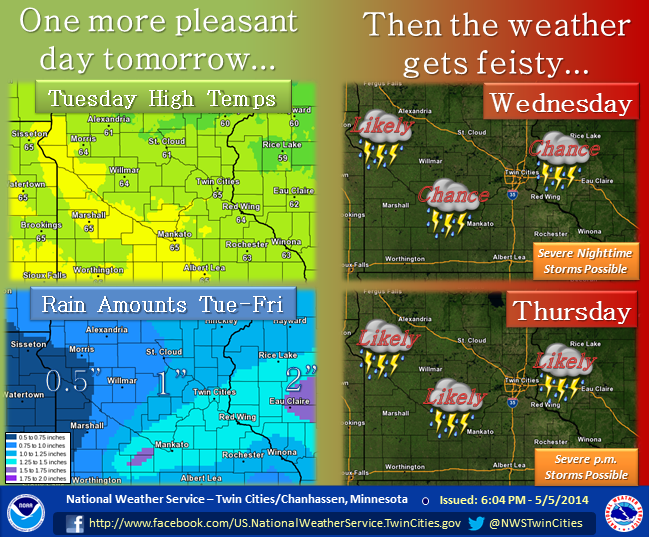 KMSP: Mentioned both 1-3" and 2-4"
The Weather Channel: 1-2" plus "less than inch" Tuesday. You can view our new video with Tom Novak from Novak weather here.